We have a team of experienced graphic designers who can create bespoke logos and stunning designs for any output medium. From providing corporate identity proposals, company services or product sales literature through to photographic art direction and illustration, we are confident you will find our approach to your requirements refreshing and affordable. Our graphic designers have a wealth of experience in designing many different styles for many diverse sectors including large corporate, small business, local authorities, legal, leisure & tourism, charities and restaurants. click on the image on the right to view our resources section. 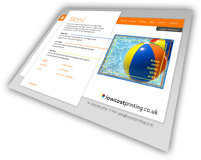 Please have a look through our portfolio to see examples of our work.